In any business transaction, the details can make or break the deal. Whether you are choosing what entity to use for your business, are trying to resolve a contract dispute or are looking to sell your business, it’s critical to work with a business law attorney who can protect your rights. The law office of Carluzzo Rochkind & Smith, P.C., is a trial-centered law firm that serves clients in Manassas, Prince William, Manassas Park, Gainesville, Haymarket, Woodbridge, Lake Ridge, Dumfries, Bristow, Warrenton, Centreville, Fairfax, Stafford, Chantilly, Leesburg, Ashburn, Sterling, Herndon, Reston, Alexandria, Annandale, Arlington, and throughout Northern Virginia. 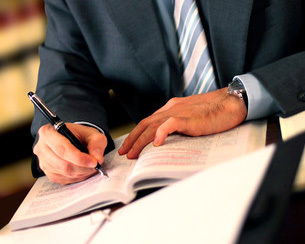 Carluzzo Rochkind & Smith offers legal services to clients in a variety of business-related matters, and our lawyers represent numerous businesses in litigation. We handle transactional and contract work for small businesses, associations, sole proprietorships, partnerships and corporations. Our attorneys also assist our clients in the formation and dissolution of corporations, partnerships and limited liability companies.